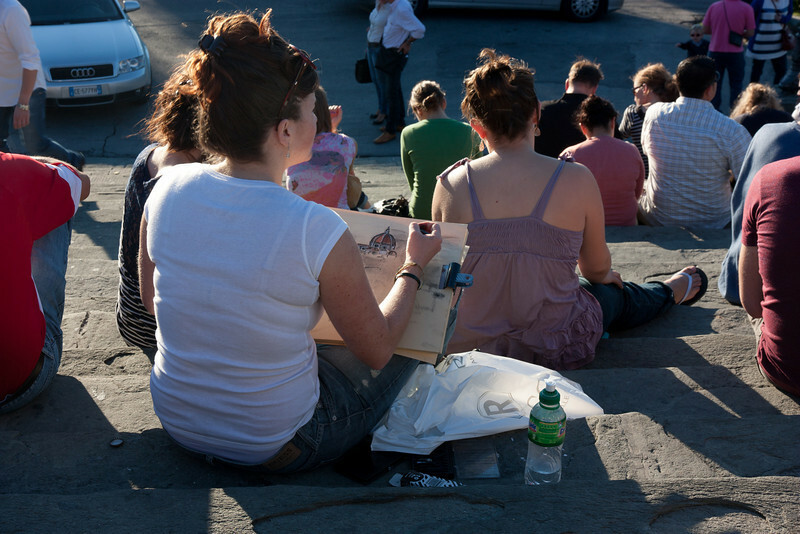 An art student sits on the steps and paints the Duomo . . .